A cacophony of giddy squeals from children scribbling on the sidewalk out front are what first greet you when you pull up to Adam Kowalcyzk’s Manheim home. At first glance, you wouldn’t guess it belongs to a rock n’ roll musician. Adam Kowalcyzk, lead singer of local band ALOW, has been in the music industry for decades. He spent 10 years touring as a rhythm guitarist with his brother Ed Kowalczyk in the band Live, and pursued other musical projects like Adam and the Weight and The Mint. Now married and a father of two, he’s juggling family while tapping into his first love: music. “Music has always got everything from me and it never lets me down. It was always there—no temperament, not an escape, but a retreat,” Kowalcyzk said. About one year ago, Krista Mattern, owner of local business Studio 28, introduced Kowalcyzk to what would be his future ALOW bandmates. They met at the Kaleidoscope, a local recording studio, which happens to be owned by three of his collaborators: Kory Gable (drums), Jon Smith (guitar) and Ben Roth (guitar/mpc). Tucked away in a brick-lined walkway off West King Street, this Lancaster City gem is a hub of creative flow and is where the magic of ALOW was first discovered. “After jamming with him it was immediately clear that we all had a good musical chemistry and similar influences,” Roth said. “We took a few days of pre-production to get together to work on Adam’s songs, throwing Joe and Jon into the mix, and everyone playing and writing seemed intuitive and natural and we just kind of became a band.” They already had a solid foundation with members Kory, Ben and Joe pursuing an indie rock project together prior to ALOW: The Sleepy Limbs. It effortlessly transferred into the band’s alternative rock vibe. As coincidental was their meeting, so was their name. Kowalcyzk put his last name into Scrabble Scrambler and “alow” was one of the first options. Liking how it looked, Kowalcyzk searched what the word meant and to his surprise, it had more meaning than a few scrambled letters. He discovered “alow” pertains to the lower deck of a vessel. “That’s where music has always rested for me… the lower part of my being,” he explained. After his first stint with Live, and then returning to the area in 2005, his music career took the back burner to his growing family and full time job. However, he could never escape the lure of what captured his soul at 12-years-old: “I only ever wanted to learn to play and sing at the same time. Build the callouses and strum my guitar and sing my heart out whether or not I was good.” His in-home studio provided him the opportunity to keep creating until he found his match in ALOW. Within a few months of playing together, ALOW performed their first show at Tellus360, and later went on to perform at Launch Conference and Music Festival as well as Lancaster Roots and Blues, and countless other local venues. In June, the band officially released its first single “Behind the Screen” which was initially conceived by Adam as commentary on how using technology robs us of genuine connection. However, as a true collaborative group every member played a role in the evolution of the final version. “It’s about 10 times faster than the original version and has a drive,” said Smith. 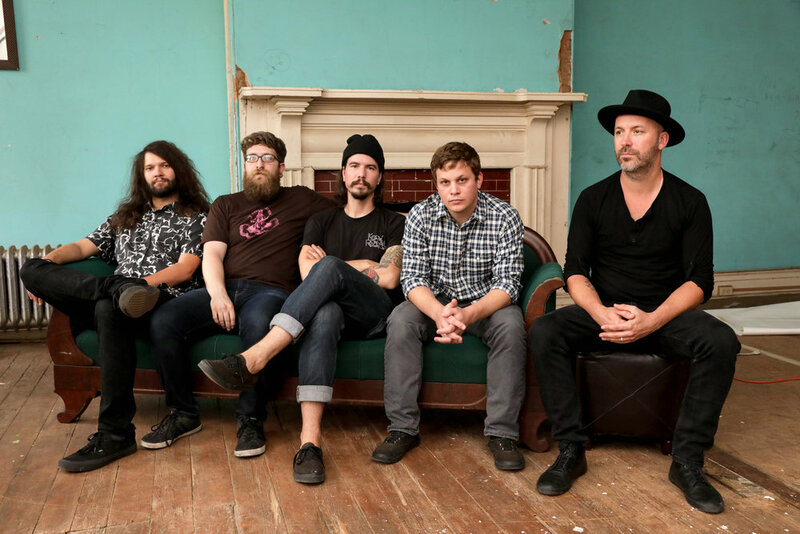 The band caught a major break at a Tellus360 show this summer when a talent buyer for American Music Theatre (AMT) discovered ALOW and provided them the opportunity to open for Blues Traveler’s August show at AMT. “It’s all small steps and about the experiences we can have together as musicians. Opportunities like this could potentially lead to even greater opportunities,” said Kowalcyzk. Most recently, “Behind the Screen” received a nod from Helen Leicht at XPN catching airtime alongside the likes of Tom Petty and Wilco.